No matter what type of content you are creating, it is essential that it is written in your brand’s voice. This includes your SMS marketing. As discussed in a previous post <>, your texting campaigns have the ability to help build your brand. However, to do so they must match the voice of your brand, even though they are only 160 characters long. By following a few steps, you can ensure that your texting content remains consistent with your brand’s voice. Get your team together to develop the criteria for your brand’s voice. 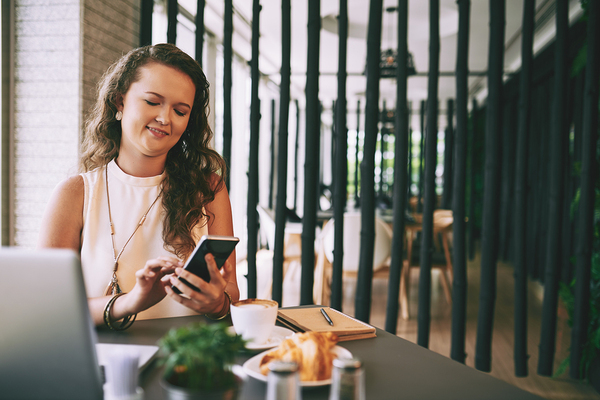 The first thing you need to know before you start to run your SMS marketing campaign is what your brand’s voice actually is. You might have already determined this through months or even years of work. If you are just now working towards building a brand, it might take some effort to determine exactly what your voice is. Have a meeting with your team and decide what it will be. Once you know that, you will be able to determine what tone, language, and style work together to create that voice. One way to do this is to bring together some of your written content and review it for tone, language, and style. Try to describe what you think it might be using just three words. To do this, imagine your brand as a person. Based on the content, determine the personality of the brand. Once you have three general personality traits, see if you can further define each one. From there, create a chart that explains the personality components and helps you determine what to do and not do when writing content, including word choice, tone, and other aspects. Your brand’s tone goes a long way to distinguishing you from your competition. It becomes something that makes any advertisement or marketing efforts recognizable by your clients or customers, even before they see your logo. It acts as a linguistic signature. It helps to create a certain feeling or concept about your company and to impart your values. You might choose to imbue some humor into your tone, or you might choose to be more professional and aloof. Regardless of the tone you choose, it should remain the same across all of your marketing channels, including your SMS marketing messages. The language you choose to use goes a long way to creating the tone of your brand’s voice. You might choose a more informal language to relate to your customers, or you might choose to be more professional and use more formal language. You might also choose a certain type of slang to relate to a certain audience. It is best to match your customer’s language as much as possible while still being professional, even if you choose a more informal tone. Word choice is another important component. This can be as little as the pronouns you use or which synonyms you decide to include. Just because you are only writing 160 characters does not mean you should depart from the language you normally would choose. Follow a similar style even when writing such short form content. The final component of your brand’s voice is style. This includes the order of words, the grammar and stylistic conventions you choose to follow when you write content, and the rhetorical skills you include. Although you might not fully adhere to grammar conventions when you write a 160 character text, it is still important to understand your brand’s linguistic style. This helps you to match it as close as possible even with short form content. Focusing on the language, style, and tone of every bit of content you create helps you to create your brand’s voice. By using the same voice in your SMS marketing, it will help to build the brand image <> you want. Ready to get started with your texting campaign to build your brand? Try GroupTexting for free.